In the middle of every difficulty lies opportunity said by the greatest scientist Albert Einstein. In terms of generating sales, the advanced negotiation skill training comes handy. It can be simply defined as No business can go to success without sales. 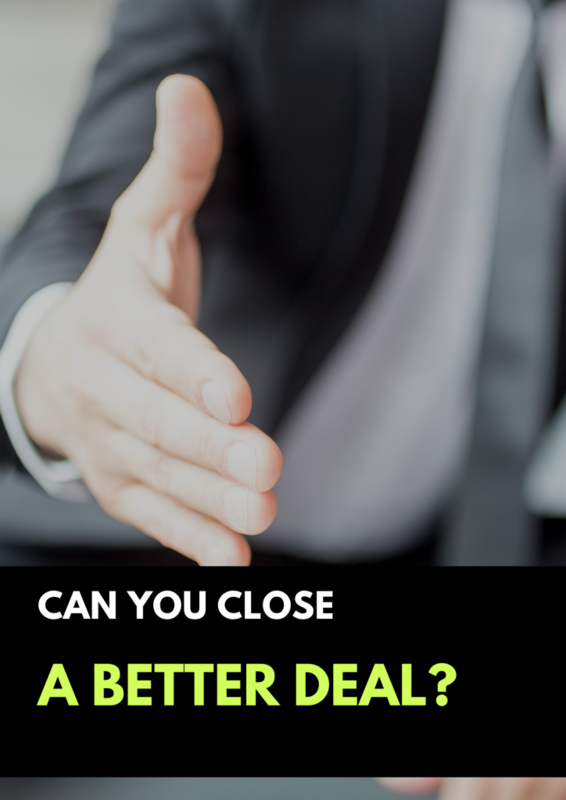 The salesperson knows that the negotiation is a key to drive the business. Negotiation refers to an attempt to get a trade by increasing or decreasing the market value of a product without losing significant profit margin. Having negotiation skills under your belt is significant to deal with complexities in a competitive market. A good set of Communication Skills. Well informed what you are selling. Ultimately, your product is going to be in the hands of buyers.Present your product in a finest looking way possible. Listen to what they say. Let them initiate the talk. Listen carefully what they are up to. Don’t speak up for the discounts first and early. Wait for the right moment to announce. If your product is represented in a right way (as they like); you might not need to negotiate. Negotiating can be performed by backup plan too. Always ready to accept no from the buyers. Try giving value-added services with the same product or try another product. Remember it is not necessary to offer add-on services or value-added services. It depends on situation and type of client you are dealing with. Sales are not about selling something at any cost. There is always a walk away option for you. If prices set by clients are not profitable then there is no reason staying over there. Don’t be rude in walking away. Some of the clients need time to think about the offer. They can return. But because of your rude behaviour might kill those last chances of getting the deal. Think like a customer is my meaning behind this phrase. A salesperson, thinking same as a customer, can prepare the list of queries asked by them. This allows him to organize well. As a customer, you may realise the “behind the scene” of your product. Now you can easily visualise the demands, strengths and weaknesses of your product. Gaining trust is not an easy task to deal with. Here your skills come to play. Try to make your client feel free to discuss anything about the project. Don’t let him play defensive. Create an atmosphere and make your client as if nothing is hidden from the customers. We deal in a fair way. Show your past works to take him into confidence. Things what you learn in sales negotiation training program are going to be the source to negotiate like a Pro. This entry was posted in Sales Negotiation Training by B-More Consulting. Bookmark the permalink.